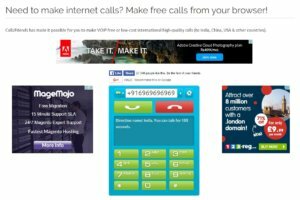 Want to see the complete list of free calling websites? 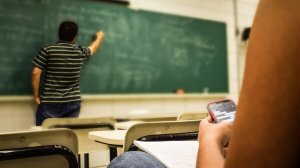 websites that will let you make free calls online without registration? then, you will definitely love this guide. In this guide, you will discover the top 10 best websites to make free calls from internet that too without any registration or download. These websites basically work on VOIP technology that means there will be no operational charges for the calls. However, you need to have some basic requirements. Please check them below. Download and Install Java, If you don’t have it already. Make sure you have the latest version of Adobe Flash Player is installed. A decent mic and speakers. If you have all the above fulfilled, then you will be able to call your friends without any problem. Sometimes, the calls may have 1-2 seconds lag as you are calling from the internet. But, that’s not a big issue. There are several apps and websites are available to make free internet calls. But they require registration or download the apps. If you are looking for the quick online calling, below websites may be the best bet for you. iEvaphone is one of my favorite websites to make some free internet call without paying a single dime. You don’t need to install any software or application in order to use this service. All you need is to input your friend number and talk to them. You don’t even have to register in order to make calls from this site. The site also provides a free calling app for both ios and android users. So it is even simpler to make calls from your mobile. Though it is free, you can’t make unlimited calls with them. They offer you 180 seconds or 2-3 free calls a day. This is yet another free/paid VOIP service to make free calls online without registration. You can make free calls directly from the browser without downloading the app or plugins. 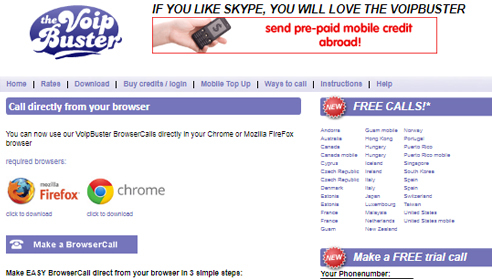 You can make free international calls from mobile/pc browser. As a free user, you will get 120-130 free seconds on your first call. If you want to use it afterward some low rates may apply. Get the Call2friends mobile app for Android and iPhone. Here is one more website to make calls and text your friends completely free of charge. Globefone is a free innovative service that allows users to make free calls, share files and send text and video chat with their friends around the globe. You don’t need to download any plugin or app to make free calls with Globfone. You can directly call from your web browser. Sometimes, the lines on this network don’t connect fast. If you are desperate to make some free calls you can try this. If you are wondering who called you then this site is very useful for you. using this site you can easily get the full name of who called you instantly and completely free. 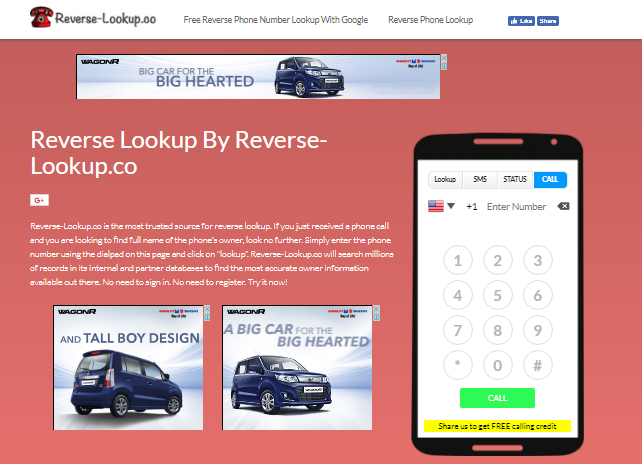 you can also make free calls from this website to any mobile number in the world that too without registration or paying any money. when you share this website with your friends you will be able to make some more free calls. this site also offers free SMS that you can send to your friends. 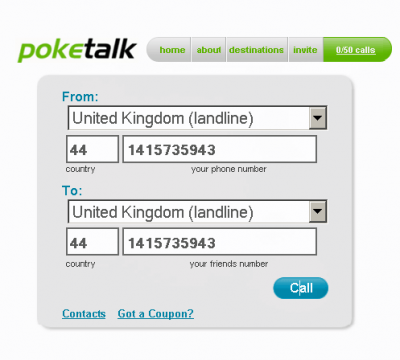 Poketalk is another useful website to make free international calls to over 50+ countries worldwide. You don’t need headphones or Mic, all you need is basic internet and mobile phone number. Poketalk offers up to 50 calls per month, with a limit of 10 minutes per call. To start with, you will need to go to Poketalk website and Sign up. Once you have registered, you need to give your number in the FROM field and enter your friend number in the TO field and click on Call and just wait for the phone to ring. Poketalk will then connect with the person you want to talk to. Voipcheap is another best way to make free calls over the internet. However, you will need to Sign up and download voipcheap set up file to make free calls from pc to mobile. After Sign up, you will get a maximum of 200 free calls per week and IP address. The unused calls cannot be used in the next week. If the limit exceeds the normal rates will be applicable. Fring is another awesome website to make free voice and video calls to anywhere in the world. Talk with your buddies as much as with your friends with fring’s unlimited calls. Fring is also available on Google play store and iTunes. 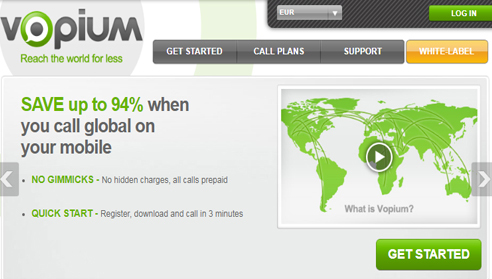 Vopium is another useful website to make free calls from the internet. You can save up to 94% when you call global on iPhone, Android, BlackBerry, and Nokia. Vopium offers some lowest prices (EUR 0.02/minute) to call to over 50 countries across the world. It is absolutely free when you make calls from Vopium Wi-Fi to Wi-Fi. The Vopium is also available on Google play store and Appstore. VoipBuster is an innovative program that uses the latest VOIP technology to bring high quality and free internet calls to the users. It is very similar to Skype. You can make some free calls to the popular destinations or call at incredibly low rates to any other mobile/landline. You need to download the setup file on your pc to get started with VoipBuster. It is available for Windows, Mac, and Smartphone. Additionally, you can also call right from your browser window. VoipBuster is very easy to use as every instruction is available to make free internet calls using the site. Jaxtr is unique in the list. This website provides a universal SIM for travelers who want to cut high roaming rates. Users can make calls, send text, and surf the internet in over 60 countries. 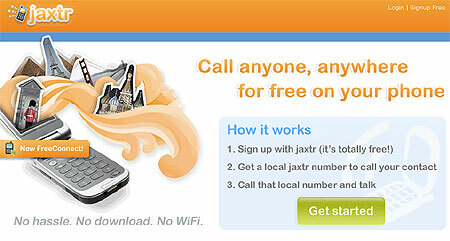 You can download the Jaxtr voice app to make international calls at low rates and in some cases, it’s completely free. 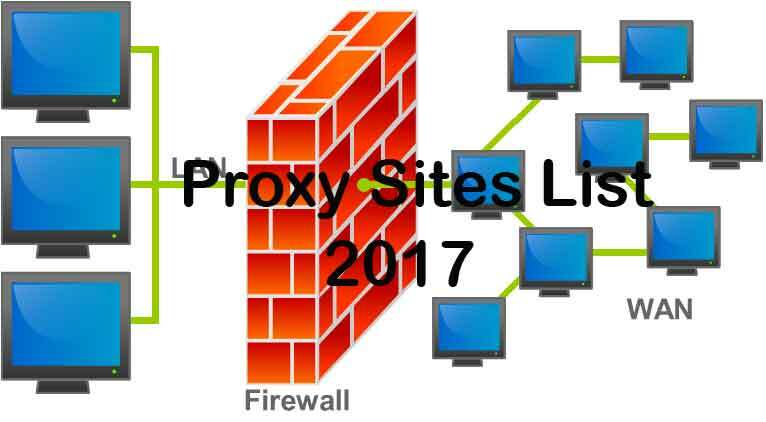 Quick Tip: To make unlimited free calls, you need to use some proxy sites to bypass the restriction. And make sure to clear all History and Cookies. Q: Do they track me If I am not registering with them? 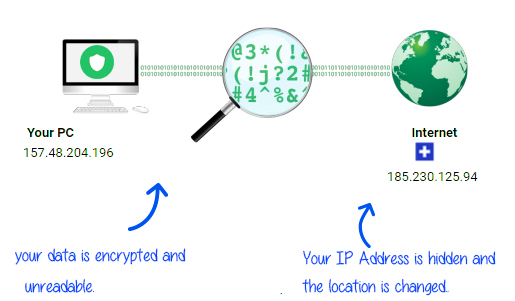 Though you are not registering, your IP Address and device information will be stored in their database for security purpose. So, don’t make any abusive calls or other shady stuff using these websites. 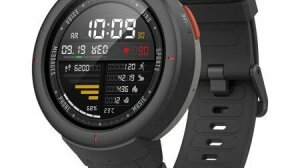 Q: Which Phone Number will be displayed on the receiver’s screen? A local available number will be displayed. or an International number sometimes. It depends on the availability of the route. That’s all it guys. We have discussed how to make free calls online without registration or download. Now I want to hear it from you. What do you think of this list? Have you tried any of these? If so, what is your favorite website to make free calls? Share your experience in the comment section below. Thanks to you for sharing a helpful article for me. Though I have jio sim, it does not support international call. But “Call2friends” really works well. Thanks to you for sharing it. Hey, Thanks! 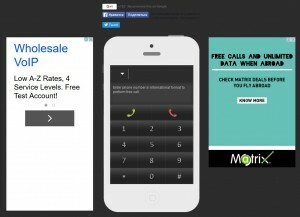 These sites are really useful to make some quick calls without downloading or registering. Also, these are free to use. But, we can make only few calls a day. VOIP Buster is another good website to make calls. Its like Skype with free calls. If you want to make unlimited call you can buy some credits at cheapest rates. anyhow thanks for other websites, I can make free international calls to my friends for some quick conversation.